For someone who have had to put up with migraines since she was 11, pain is not a trivial thing for me. John Sayers, President Consumer Healthcare, Asia, Pacific and Latin America, GSK said, “Pain is one of the greatest personal, social and economic burdens faced by people around the world.” Last week, I was privileged to witness the launch of the world’s trusted pain reliever, Panadol. Panadol® with Optizorb® is the only paracetamol brand with the unique Optizorb® disintegration system which allows the release of its medicine in as little as five minutes vs. regular paracetamol tablets. 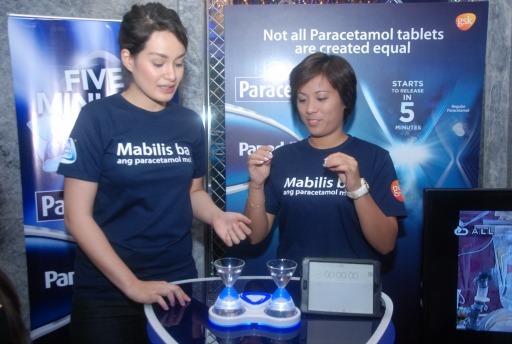 Studies conducted by GSK have proven that 75 percent of people who take Panadol with Optizorb® caplets reach pain relieving levels of paracetamol in the bloodstream significantly faster than those taking other generic pain relieving brands. With a greater rate of absorption, (paracetamol) Panadol® with Optizorb® delivers therapeutic concentrations to most people suffering from a variety of pain even those with common medical conditions, such as stomach problems and heart disease. Panadol® with Optizorb® also has the broad suitability associated with standard paracetamol . This means that it is well tolerated and will not irritate the stomach when used as directed. Now that’s a relief, the 5 minute mark would have been great news, the pain reliever not having to mess with my already gastro challenged tummy, is something I had to factor in as well. From headache to the first sting of arthritic pain brought about by strumming through the guitar plugged in those fishman amplifiers at guitar center or whatever kind of pain, Panadol® is one of the world’s leading paracetamol-based pain relievers which is sold in more than 85 countries. 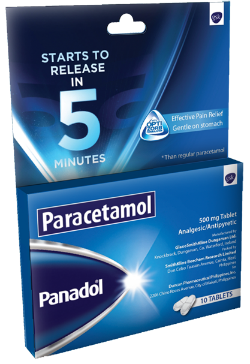 Last year alone, 15 billion (paracetamol) Panadol® tablets were sold worldwide. “The brand is testament to our customers’ trust and faith in the product which boasts an extensive scientific research breakthrough such as the Optizorb® technology in our new Panadol® which is the first and only paracetamol product that contains Optizorb®,” added Sayers.